January is almost over and most my New Year’s Resolutions remain intact. One resolution is working my arms. Lifting free weights almost becomes automatic when settling in to watch an episode of Downton Abbey, Fringe or Community but I always wonder if I can be doing more in the kitchen. Arms are always in use lifting heavy cast iron pans and dutch ovens or scrubbing out seared-on stains on skillets. There is another trick to getting your arms into shape – an egg beater. Ok. So yeah, it’s a bit of a stretch. 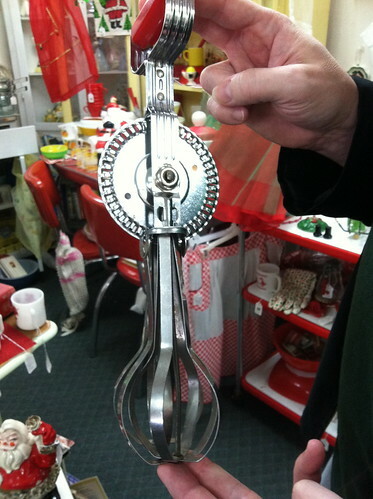 But OXO’s egg beaters aren’t those ancient egg beaters seen in antique stores. With their modern and streamlined body there’s no need for a tetanus shot before using one. OXO’s beaters are not only appropriate for eggs but small mixing projects without having to bring out the heavy guns. 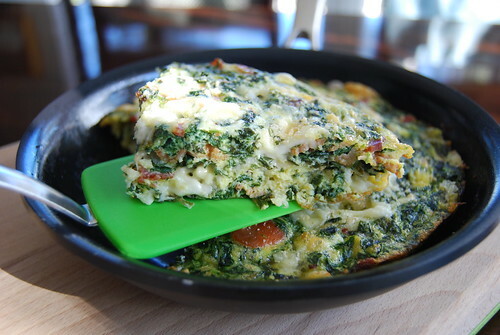 My favorite use is for my spinach bacon frittata. I always try to have a bag of frozen spinach, eggs and bacon on hand at all times to make this dish. Meat, eggs, veggies — it’s all in this. The recipe is flexible and I can sub in different cheeses, add Spam instead of bacon or completely remove spinach. And the frittata is always better the next day. OXO was kind enough to send me two egg beaters, but I can only keep one. I’m giving the extra OXO egg beater to one lucky person. 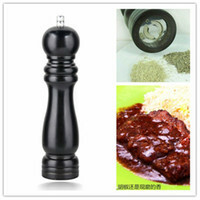 Leave a comment about your favorite kitchen device and I’ll randomly pick a winner on February 1. The giveaway is only open to U.S. residents. Good luck! Congratulations to Sandy for winning the OXO Egg Beaters! Using Random.Org, I selected one person out of 19 responses. I started to respond to ALL the comments and realized I was screwing up the system, so apologies to the people I didn’t respond to. I really wanted to! Please email me your address and I’ll get the egg beater out to you ASAP. In a large bowl, beat eggs until slightly bubbly. Add the rest of the ingredients reserving ¼ cup of Monterey Jack cheese. Spray a 9-inch oven-proof skillet or shallow baking dish with cooking spray and fill with egg mixture. Top with remaining cheese. Bake for 30 minutes or until set. Cool and serve. I admit, that I don’t own one but wonder if it would help me in the kitchen when large chopping is required. Or making gazpacho. I cannot live without my spatula. Must have! Only one spatula? That must be some spatula! I’m a total fool for the Microplane. Love it! I recently learned to love microplanes especially when grating cheese or garlic. Beats taking out our huge box grater which I loathe. Mm, that’s a mighty fine looking frittata. Hm, I’d say my favorite kitchen device is our Vitamix! I am envious of your Vitamix. Our blender just doesn’t cut it anymore. I adore my kitchen knives, even though they’re not top of the line I did spend over $150 for them. I just love the chopping feeling, I rarely use a food processor because using my knives is so yummy. What can I say…when I see Top Chef I always drool over the set of knives they carry! It’s stupid but I think my kitchen tongs are my favorite device. They turn my steaks, they serve my dishes straight from the fry pan or whatever, and I find myself the most comfortable in the kitchen with the tongs in my hand. I have to pick just one favorite? Hmm… I have a mini silicone spatula that is all one piece that is perfect for scraping things out of jars. And because it’s all one piece, I don’t have to worry about gross things growing in between the handle and the spatula head. I’ve actually switched all my spatulas to this type, but the mini one is my favorite. Ha! I have one of those old fashioned beaters. I was trying to bake a cake in my NYC apt. with no real tools and tried to make a go of it that way. I think half way through I decided there was a reason we use electricity. I have a mismatched collection of cherry wood spoons from Jonathan’s Spoons that I picked out of the discount barrel at an American Craft Council Show. It was an impulse buy that now influences how I cook every day. Working with beautiful tools sure can improve one’s outlook. My favorite kitchen item is my knives. I don’t have super great knives, but I’ve chosen them carefully and I really like them. Now that I’m making baby food all the time (Lou is one hungry little guy! ), I’m SO glad I kept my mom’s old plug-in stick blender. Out of all my kitchen appliances, it gets the most use and is the easiest one to clean. hi darlene – i really like my wusthof chef’s knife! nice and sharp! i love my cherry red kitchenaid mixer. i LOVE it! I have a spatula from Williams Sonoma that I use for scraping (because it’s firm) and stirring (heat-resistant silicone). Funny, it was called a child’s spatula, but it’s actually a hefty size. Yum, bacon and spinach fritatta! Whoa, I can’t a pick favorite among them, I love them all equally! Okay, that’s a lie. I love some more than others but really hard to pick just one. I suppose it would come down between the wok and the Vitamix. Maybe the wok will win out just a tiny wee bit. My favorite is my microplane ribbon grater. I could write an essay about that thing! I can shred all my cheeses on it, make quick work of an onion, it handles garlic like a pro (just perfect!) …and I can grate celery – fast fast, zip zip – to a perfect size for dissolving and creating a wonderful flavor along with the garlic and onions in my gravies. It’s easier on my fingers for some reason than my microplane zester, has a wonderful handle, heft, and balance, and …….the piece de resistance!? I paid it 6 bucks at T J Maxx! I use my pastry dough cutter thing for soooo much, but never for making pie crusts. I use it all the time to mash up fruits (like bananas for banana bread! ), to crush nuts of all kinds (like walnuts for banana bread!) It takes up a lot of room in the drawer, but I never purge it when I’m going through a cleaning mood! I love silicone spatulas, they are awesome for baking as well as cooking on the stove! Oh, without a doubt, it is my Chef’s knife. Couldn’t survive without it.